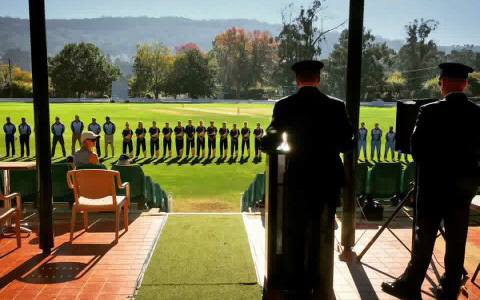 ANZAC Day at the Bradman Centre | The International Cricket Hall of Fame. Arrive in time to join in the commemorative RAAF flag raising service on Bradman Oval at 9:00am including an address by former SCG Chairman, Rodney Cavalier AO. The flag raising and Rodney’s address will be followed by a 40 over match between the RAAF XI vs Bradman Members XI, playing for the Bradman Miller Cup. Enjoy an Anzac biscuit and Billy tea from the Bradman Cafe, open from 8am – 4pm. Take time to visit the Museum to view a collection of cricket photos from the Boar War to Afghanistan open 10am – 5pm daily.